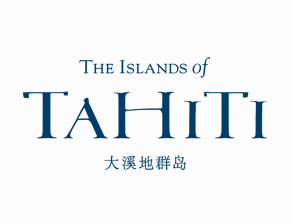 Tahiti Tourisme is the Destination Marketing Organization (DMO) for The Islands of Tahiti, overseeing all marketing and advertising actions, public relations, promotions, events and travel agent training programs globally. With a primary mission to bring visitors to The Islands of Tahiti, this Economic Interest Group is comprised of a Tahiti-based head office and 14 international offices promoting the destination across 18 international markets. Tahiti Tourisme also runs the visitors’ welcome and information desks and organizes local events to promote domestic tourism. Tahiti. The word evokes visions of an island paradise, exotic days, romantic nights and South Sea adventure. The Islands of Tahiti exude a power of life that makes every experience in these islands unforgettable. The Tahitians call this power, Mana. And, you will feel it ripple up your spine the moment you step off the plane, and it will fill your soul, you will taste it and smell it in the air. Once you’ve experienced The Islands of Tahiti, it will flow through your veins forever. With 118 islands boasting high, rugged mountain peaks, coral reefs, turquoise-blue lagoons, white sand, palm-fringed beaches, and luxuriously intimate resorts, each island paradise has something for everyone.